In the financial world we are accustomed to the fact that the swap is a derivative, a derivative security that represents an exchange transaction of a variety of assets. But in the Forex swap has a completely (radically) different meaning, but which we need to navigate when choosing a broker. There are intraday trading and medium or long – term. In intraday trading strategy the trader opens a trade in the same day it closes. But if the position is not closed and moves to the next day, the broker will charge the trader a commission, which is called a swap. Everything seems clear, but there is an interesting fact: swap in Forex can have both negative and positive value, that is, to bring the trader an extra income to your deposit. To understand how this is possible, let us consider the mechanism of its formation. a person opens a Bank Deposit, the Bank for the use of client money pays interest. 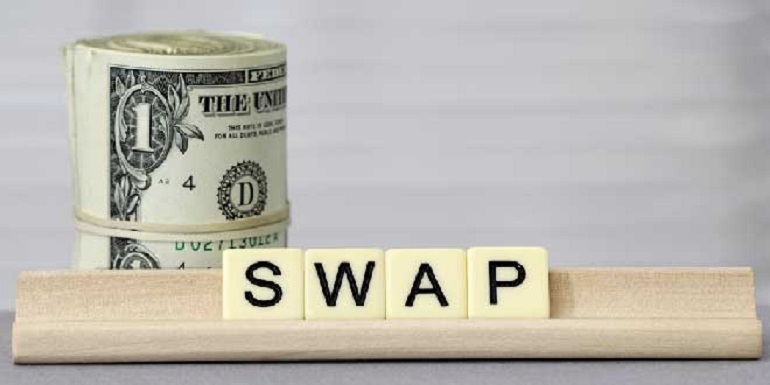 Swap in Forex is formed similarly. The Central Bank pays a certain percentage for the purchase or sale of currency. For example if a trader buys dollars for Japanese yen, it actually becomes a lender of Central Bank of Japan, which attracts freely convertible currency for its calculations. Because the trader has shared with the Central Bank with dollars, he gets a percentage. If the trader sells Japanese yen (i.e. buying dollars), it pays interest for a kind of credit. The amount of payment is an interest rate of the Central Bank of Japan. If the rates on the Deposit and the loan are the same, the currency swap is not charged. As the interest rate on the loan or Deposit is credited on the closed day, then the swap will occur only at the end of the trading day. The size of credited or debited swap can be viewed in the trading platform. For example, in MT 4 you need to enter the tab “Terminal” in the dialog of orders to enter “Swap” tab. if the interest rate on the yen (loan currency) is more, the swap is negative, that is, the trader pays fee. The complexity of swap is that even if the trader could calculate I, he will not do that. Theoretically, the calculation can be done, focusing on interest rates, but each broker has its swap, because there is also a personal commission. However, it is possible to look at swap size: “market watch” window, right-click on the desired currency pair, click “Specification”. The data are in points, not in currency. And finally, what is the triple swap in Forex. Since swap should be charged daily, the question with the weekends. Triple times rollover — the day on which a fee should be charged for Friday — Sunday.